Louise Gabrielle Bobb (born 16 April 1970), known professionally as Gabrielle, is a multi-platinum selling, BRIT Award winning English singer and songwriter. Gabrielle was born in Hackney, London. Her unconventional image includes short tight curls and an eye patch or sunglasses—she has ptosis, the drooping of one eyelid. Her debut single "Dreams" topped the UK Singles Chart in June 1993. Other singles include "Going Nowhere", "Give Me a Little More Time", "Walk On By" and "If You Ever" – a duet with East 17. After a few quiescent years Gabrielle made a comeback with "Rise", which became Gabrielle's second UK number one in 2000. The album of the same name also reached the top spot in the UK Albums Chart, where it stayed for three weeks. "Out of Reach" from the soundtrack to the film Bridget Jones's Diaryreached number four in the UK Singles Chart. Gabrielle's greatest hits collection, Dreams Can Come True, Greatest Hits Vol. 1 was released in 2001. Gabrielle is currently recording a brand new album (2017) which will be her first studio album in 10 years. On 17 May 2004, Gabrielle released her fourth studio album Play to Win. It reached number ten in the UK and was the 191st best-selling album of 2004. "Stay the Same" was the first single the album. The single reached number 20 in the UK Singles Chart, helping the album peak inside the UK top ten. "Stay the Same" was, however, her lowest charting single in eight years, albeit her tenth consecutive top twenty hit. The second single "Ten Years Time" was the second and final commercial single from Play to Win. The song is Gabrielle's lowest peaking single to date and her first to miss the UK top 40, peaking at 43 and only spending a week inside the top 75. One further single ("You Used to Love Me") was released to promote Play to Win but no video or commercial release was given to the song. A supporting UK tour followed. The track "Sometimes" from this album features on the Love Actually film soundtrack. In 2007 she released a new single, "Why", which she performed on The National Lottery show on 19 September, as well as many other TV slots. "Why" did not reach the UK Top 40. On 1 October 2007, fifth studio album Always was released. The album received positive reviews from music critics and was released on 1 October 2007 in the UK, being preceded by the single "Why" on 24 September 2007. Always entered the UK Albums Chart at number 11 (just 12 copies from entering at number ten). Always entered the UK R&B Album Chart at number 4. It included a version of the song "Why" that featured Paul Weller. The final single from the album "Every Little Teardrop" was released; however, it failed to chart. Gabrielle set off on a sell out UK tour of 14 dates through February 2007. Critics gave positive reviews on her performances. Following the relative disappointment regarding the singles "Why" and "Every Little Teardrop" Gabrielle stated: "If people don't like that song then I'll find one that they do like because I have done it before and I'll do it again. That old saying 'if at first you don't succeed, try and try again', well that's me, because I'm a fighter not a quitter." Gabrielle headlined the 'Zermatt Unplugged' music festival in April 2008, along with Alanis Morissette. In addition she headlined 'Birmingham Pride' in 2008. In May 2008, Gabrielle won an Ivor Novello award for Best Song Collection. In a recent interview, Gabrielle revealed that she has begun writing songs for a mystery new artist. She said, "It was really good to get asked to do something like that, as the pressure isn't on so much". But also states that it is not the end of her performing and recording career, "I look up to people like Dionne Warwick and Madonna, for managing to keep careers going for so long. I'm not that far behind Madonna, really," says Gabrielle, 38. "It'd be great to be making music like those old birds". Gabrielle was also Al Green's special guest on the UK dates of his 2008 tour. 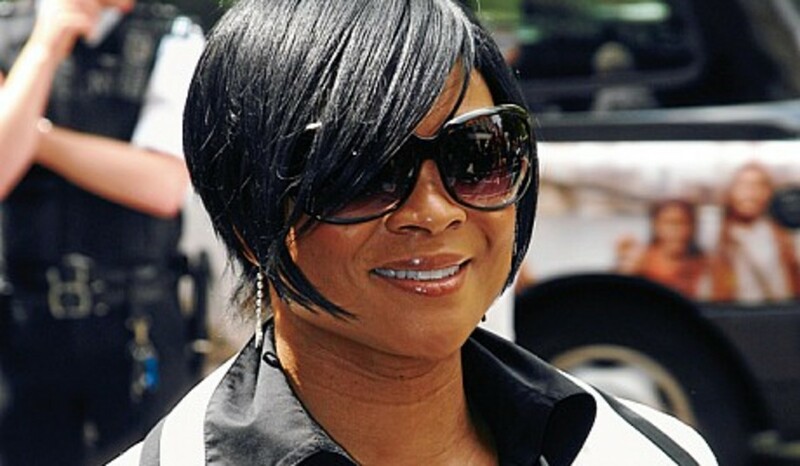 In April 2010, it was announced that Gabrielle had returned to the studio to work on her sixth studio album. Gabrielle stated in an interview the album would contain two collaborations, and that she had been working with several new producers including Syience (Beyoncé, Mary J. Blige) and Naughty Boy (Emeli Sandé) among others. She described the album as being an "up to date" Gabrielle record, planned for release during 2013, six years since her last album and 20 years since her rise to fame with "Dreams". It was revealed in the Sunday Mirror that Gabrielle would feature on a track from the forthcoming Naughty Boy album, Hotel Cabana. The song, "Hollywood", written by Emeli Sandé and produced by Naughty Boy, is about fame coming and going. The album was expected for release in the fourth quarter of 2013. In an interview with BBC 1Xtra it was revealed that Naughty Boy had reworked the classic "Dreams"' for the Now and Always: 20 Years of Dreaming album. On 18 November 2013, Gabrielle released the album "Now and Always: 20 Years of Dreaming", followed by the single "Say Goodbye" on 25 November. The album contained seven new tracks, the greatest hits, selected album tracks and remixes. A Headline UK tour entitled "The 20 Years of Dreaming Tour" took place March 2014. On 24 August 2014, Gabrielle headlined the second night of the Rovinj Festival, held in Rovinj, Croatia. In 2015, Gabrielle hosted an evening in Canary Wharf, London. Performing many of her hits plus album tracks acoustically, for an intimate audience. April 2016 saw her take to the road with Michael Bolton. A nationwide sell out show, it included a night at the Royal Albert Hall, where she duetted with Bolton on a cover of "Make You Feel My Love". Videos can be found on YouTube. In May 2016, Gabrielle announced her own headline acoustic tour, which is to take place in Oct & Nov 2016. A further greatest hits collection titled "Dreams: The Best Of" was also released but did not chart. Gabrielle is currently working on her sixth studio album having already recorded songs with MNEK, Bless Beats, Shakka and Biffco. Gabrielle has said, “I have been writing new music in the studio, but there’s no definite date for when that will be released." In Feb 2016, she released a snippet of a new song on her Twitter account. Gabrielle's first two studio albums were inspired by "classic soul connotations" such as Marvin Gaye, Barry White and Bobby Womack. However, the albums also contained influence "by early-'80s British pop" Soul II Soul, Lisa Stansfield and Mantronix. Gabrielle's third album Rise spoke of "optimism, romanticism, devotion, and a keen survival instinct". "Play to Win" incorporated a mix of genres Gabrielle spoke on the albums influences saying "There's also a couple of songs which lean more to Country, so there will be a couple of surprises for them." So in this day and age, why has Gabrielle decided to incorporate Country influences into her songs, "There's nothing wrong with Country. Yeah, I'm a black woman, but I'd like to think that I can just sing 'songs'. This album is diverse but people buying my music can expect diverse music; it's about love, life and optimism."